Guitalele - The Guitar Alternative for Kids? 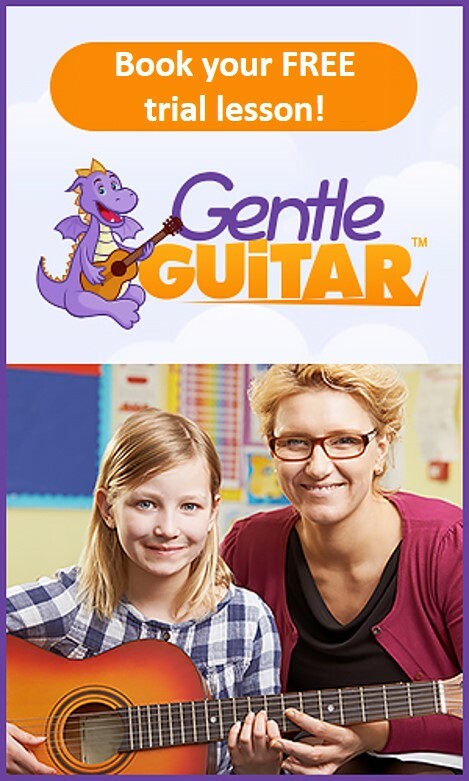 Guitalele – Guitar Alternative for Kids? At the first glance the guitalele is an instrument somewherre between a guitar and a ukulele and it looks a lot like a little toy guitar. The guitalele is definitely not a toy guitar. 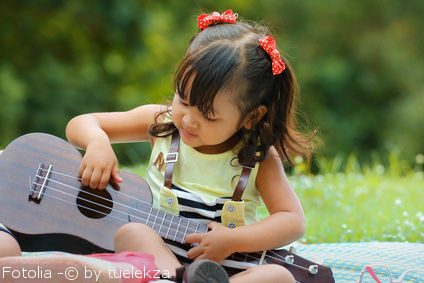 In this article we will discover what a guitalele really is and if it’s also possibly an instrument for kids and what advantages and disadvantages it will bring when kids begin with it. 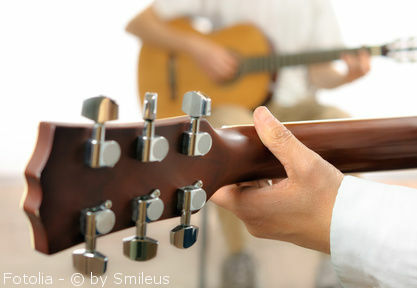 The name of the instrument has been invented by Yamaha and it’s a wordplay of guitar and ukulele. Yamaha was the first producer of this kind of instruments on the market. During quite a long time the guitalele GL1 from Yamaha was the only one on the market. But since then this small guitare has gained a lot of popularity and other guitar manufacturers jumped on the bandwagon. Nevertheless, the Yamaha GL1 remains the most popular and most sold model on the market. Regarding the construction the guitalele is a guitar. It has also 6 nylon strings like a real guitar instead of 4 strings what we find on a ukulele. The body of the instrument and its head are very similar to a classical guitar. The image of a ukulele comes actually from the sound of the instrument. It uses a tuning, which reminds many of us rather on a uke sound than a guitar sound. A guitalele is tuned a 4th up from standard, which gives us the tuning of a guitare requinto (A D G C E A) and which is responsible for the typical ukulele sound. Theoretically, you could also tune a guitalele in standard tuning but it’s not really made for it. The strings wouldn’t have enough tnesion and they would touch the fredboard when frapping the strings. However, if you change the strings with guitar strings made for 1/4 guitars, it will solve the problem and you can play this small guitar in standard tuning. Since the tuning is different, the same chords we are used to from the guitar won’t sound the same. You can play the same chords but they will sound a a way higher and you couldn’t play along with others since you would play in a different key. In addition to that, singing becomes also quite harder as you would sing higher. So you may know or learnthe transition of the notes on the guitar neck for this certain tuning (look here for basic guitalele chords) in order to get the same sound as you are used from the guitar. You can’t use standard guitar strings on a guitalele. Just cutting them a way shorter won’t be enough. 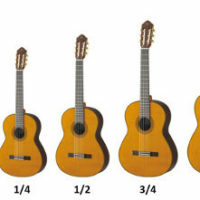 Guitalele strings are in general also thinner. So you need to get guitalele strings When buying a string instrument it’s always a good idea to buy some extra strings as well in case one will break. Anyway, afterwhile you need to change the strings anyway. A brand I like when it comes to strings is Aquila. They have guialele and ukulele strings for a good price. If you want to tune the guitalele in standard tuning, then get rather strings for a 1/4 size guitar. The guitalele has got as many notes as a guitar, which makes the neck and the sapce for every fret a way smaller. For people with bigger fingers it may be harder to play certain chords. But for kids it’s much easier to play chords on the guitalele. Regarding the body, a guitalele fits also much better a little child. Learning the guitar on a guitalele is possible but as a parent or a teacher you should be aware of certain things. If you just want to buy a string instrument for a child in order to have fun and to discover the world of music on his own, a guitalele is good as it comes. It’s relatively cheap and much better than many toy guitars. It’s a real instrument that looks like a high quality toy instrument. However, if you want to buy a guitar for a child in order to learn properly playing it, you should consider the different tuning. I would reccomend to get guitar strings for a 30 inch guitar and to tune it like a standard size guitar. 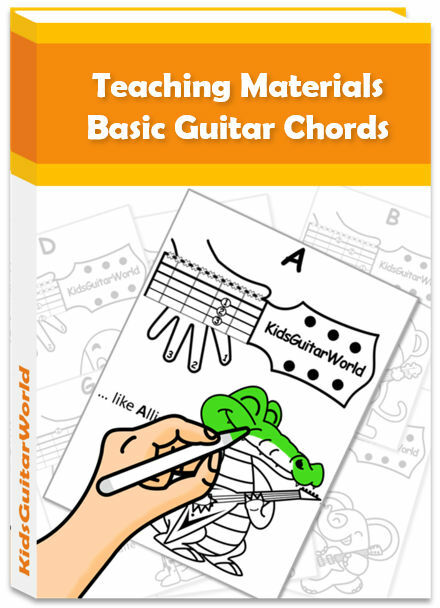 All learning material are designed for guitars in standard tuning. Same for group courses with teachers. 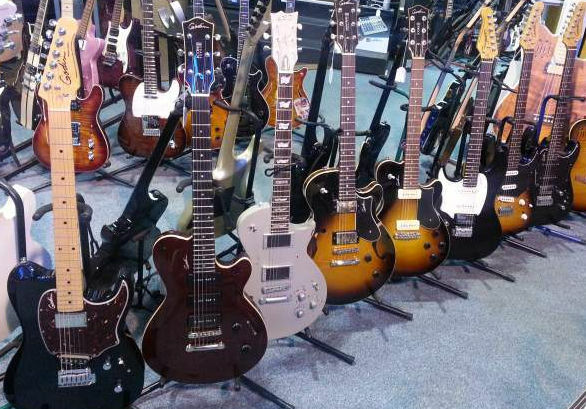 They are also designed in standard tuning since most of the students have standard guitars. Moreover, mastering the guitar in standard tuning should be basis. They are a few models on the market but the best one is in my opinion the guitalele GL1 from Yamaha. Regarding price and quality it’s unbeatable. It’s for sure a longterm investment. For a guitare from this size the sound is really beautiful and quite powerful. The finish is clean and very precise. The Yamaha GL1 is not a toy but rather a real musical instrument. Moreover, it comes with a gigbag, which makes it a perfect insturments for outdoors and travling. More information on the site of Yamaha.